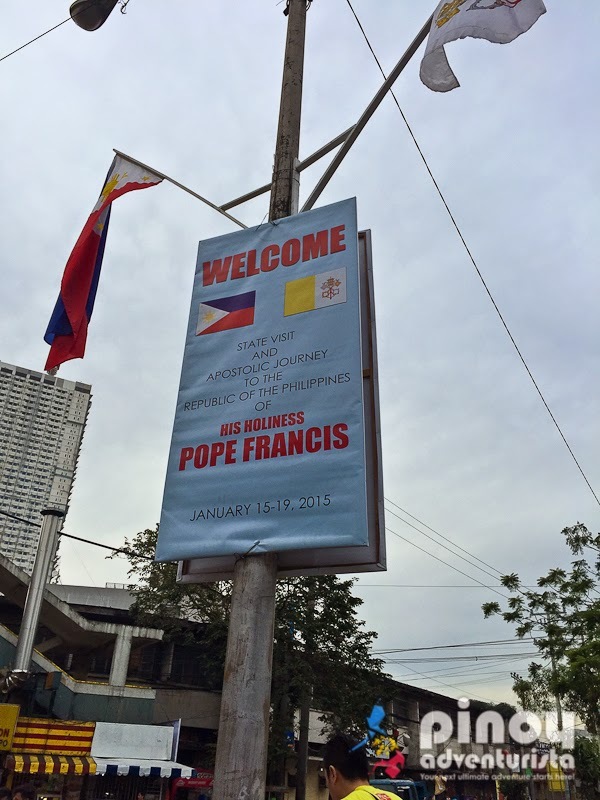 It doesn't happen everyday that the Philippines gets to be visited by the Pope. 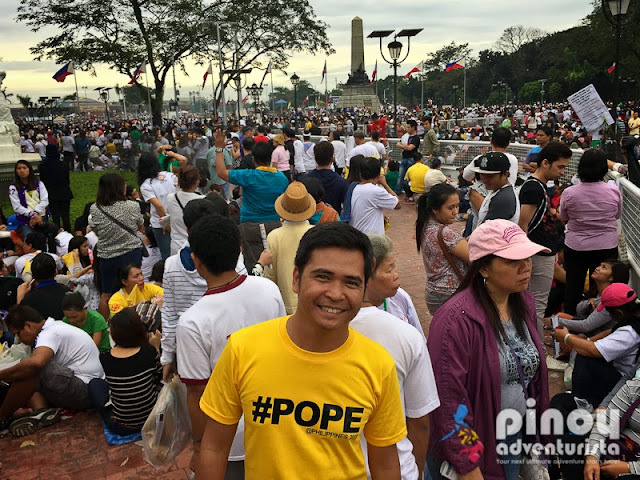 As a catholic, I feel blessed that during the recently concluded Papal Visit of Pope Francis, I was able to see him three times as he goes to and come from the various events he attended. Pope Francis is truly inspiring. There's an inexplicable aura in him that makes me feel so blessed seeing him in person. You could really feel a certain joy that transcends from him to my heart that makes every single time truly "a magical experience." Let me share to you my experience on Pope Francis' 2015 Papal Visit in Manila. Coming from Baguio City, we checked-in at a cheap hostel in Malate area so we could attend the papal visit activities. At 6:44 AM, we went to Quirino Avenue to wait for the Pope as he makes his way to the airport for his visit to Tacloban and Palo in Leyte. 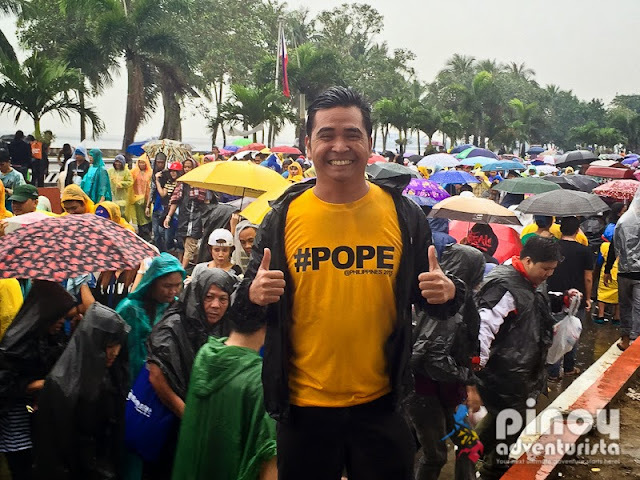 It was 6:59 AM when his car passed by and I was able to see Pope Francis for the first time. I was a split second encounter as the car was moving so fast. But still, I am so happy to see him. 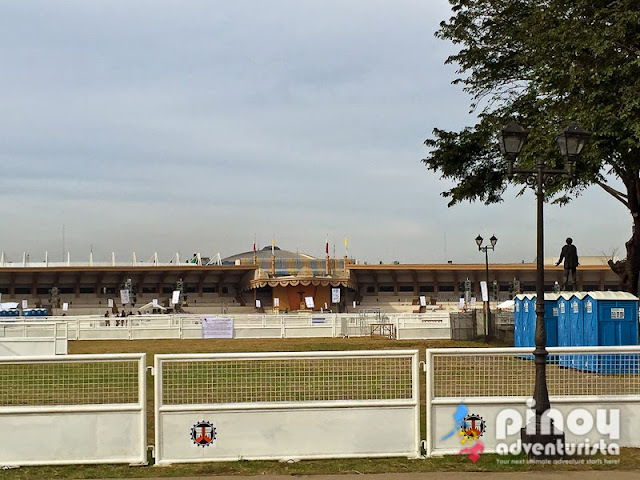 At around 9:00 AM, we went to Quirino Grandstand and Rizal Park to see how they were set up for the Pope's mass scheduled the following day. 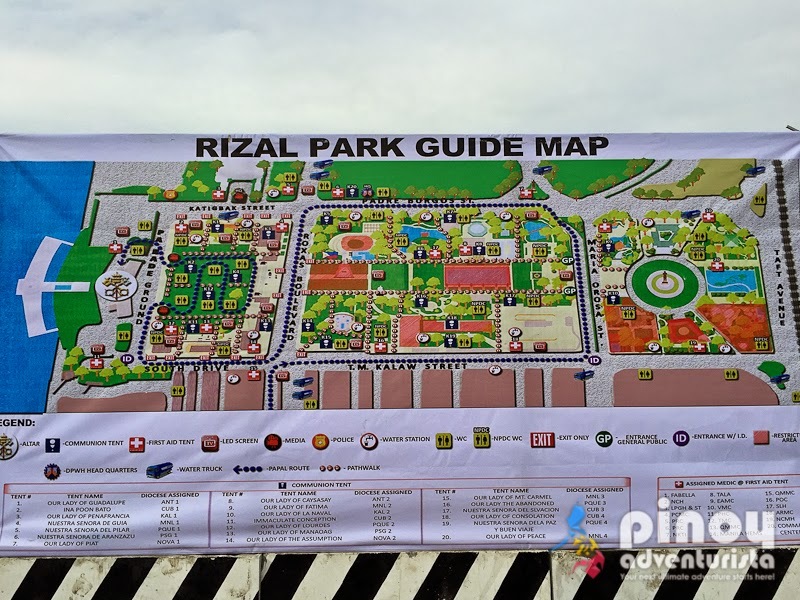 I was also able to get a photo of the guide map for the mass as we need it as our guide for tomorrow's mass. We then went back to the hostel to rest. As the Pope's trip to Tacloban and Palo was cut short, he arrived in Manila earlier than scheduled. 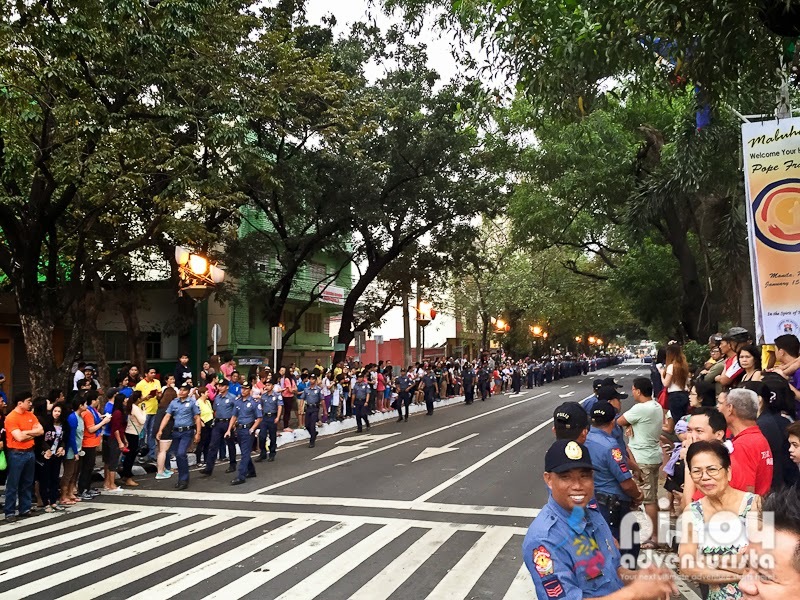 As soon as the Pope's plane touchdown Manila, I hurriedly went back to Quirino Avenue where the Pope's car will pass by on his way to the Apostolic Nunciature. Again, I feel so blessed to see him as his car passed by at around 2:45 PM. The people waiting for the Pope shouted in joy as we saw him waving his hand to everyone. 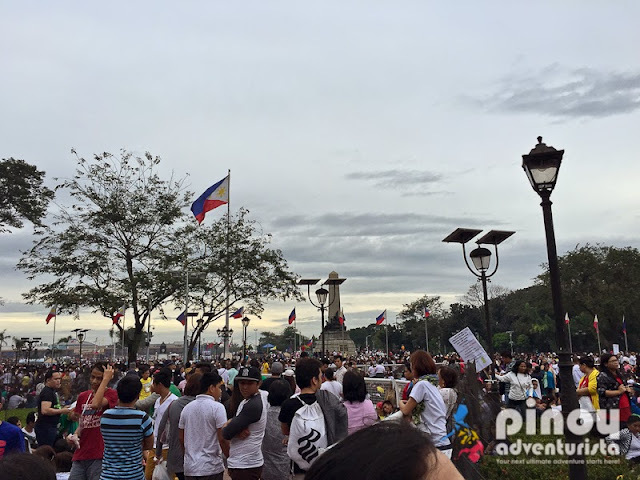 The following day, we woke up early and went to Luneta Park for the mass. 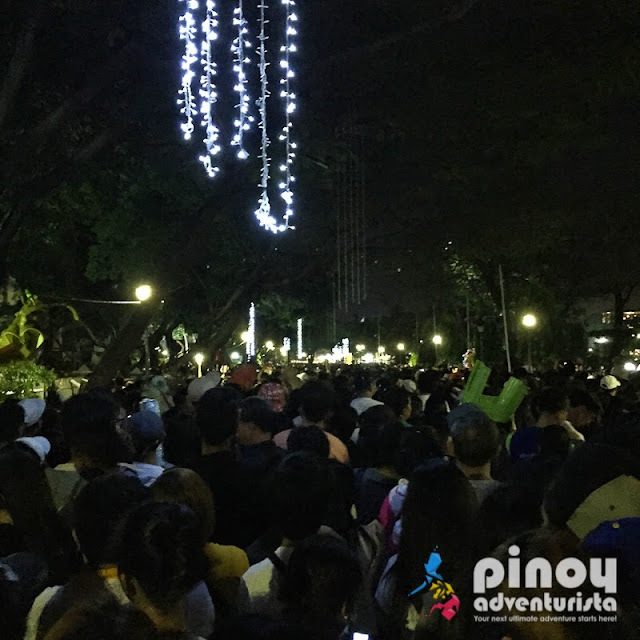 We were there at around 3:41 AM and lined up at Orosa Street. After about an hour, we were directed to transfer to Taft Ave., so we did. It took us more than 3 hours before we got inside Rizal Park. There were already a lot of pilgrims inside. Sleepless, tired and hungry, the pilgrims are in high spirit waiting for the mass. Wanting to have a glimpse of the Pope, we patiently moved ourselves to the sea of people and moved towards Quirino Grandstand. Unfortunately, we were not able to get closer as there were no more space to move closer to the grandstand. So, we just decided to get out and just wait for the Pope along the streets. 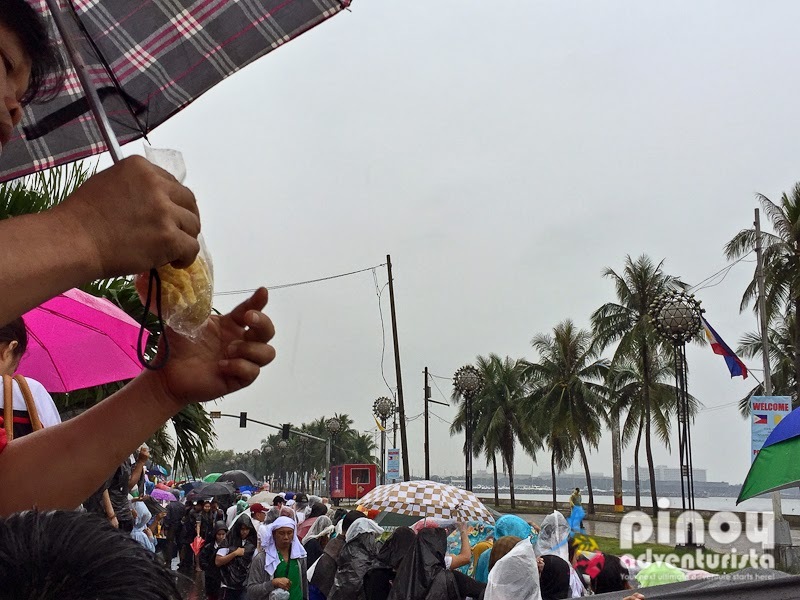 At around 1:25 PM, we went to Roxas Boulevard and patiently waited for the Pope to pass by for his 3:30 PM mass in Quirino Grandstand. It was raining but we stand still in one place. 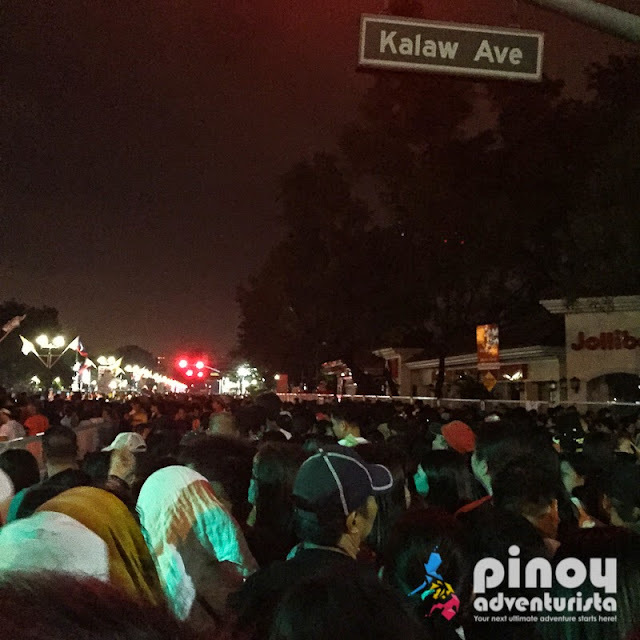 Good thing that despite the magnitude of people also waiting for the Pope, we were able to get a good spot along the barricade. 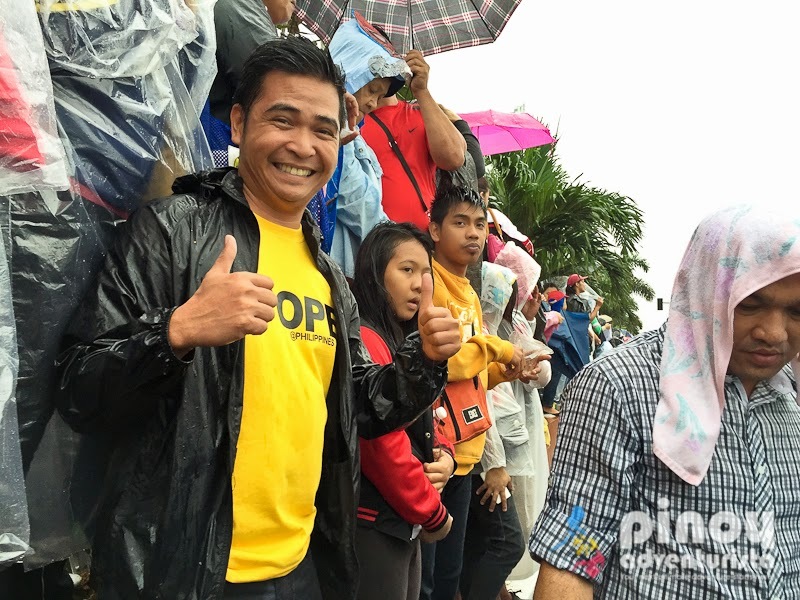 I was so wet and feeling so cold but the warm smile from the Pope's face is enough for me to forget that I am chilling due to the heavy downpour. All the people are in high jubilation and screaming to death as the Pope passed by at around 2:30 PM. This is the closest I got to see the Pope. I am so happy that the Pope blessed us again. I prayed and thanked the Lord for this rare opportunity. We hurriedly went back to the hostel and hear the mass. 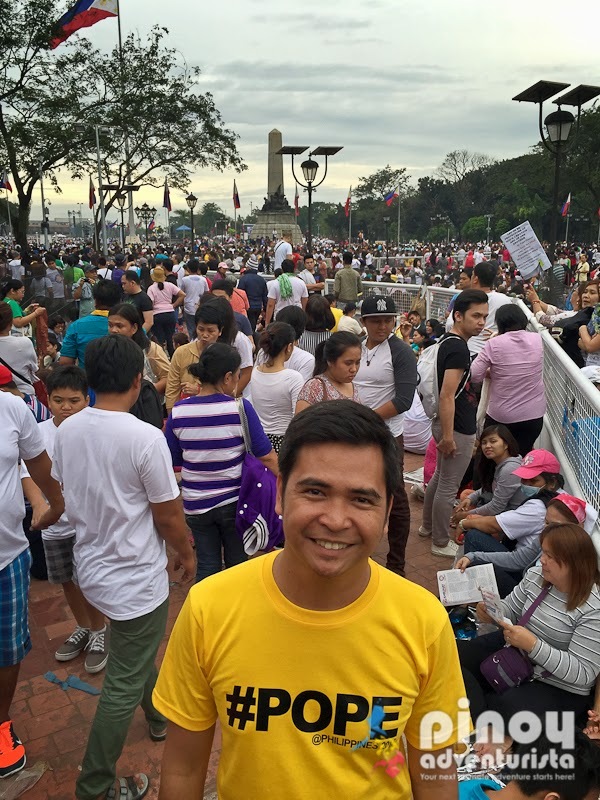 "Thank you Pope Francis for visiting the Philippines and for inspiring us Filipinos to hold stronger to our faith! Thank you for showing your simplicity, humility, love, mercy and compassion to all the Filipinos, especially to the poor and the needy. I am truly happy to get the chance to see you and be blessed by you. Have a safe flight back home and I hope to see you again soon!"